Breathtaking, magnificent, and romantic makes a perfect definition of this world-renowned resort. Located on a UNESCO World Heritage site, this resort brings the stunning view of the deep blue Caribbean Sea right before your eyes. 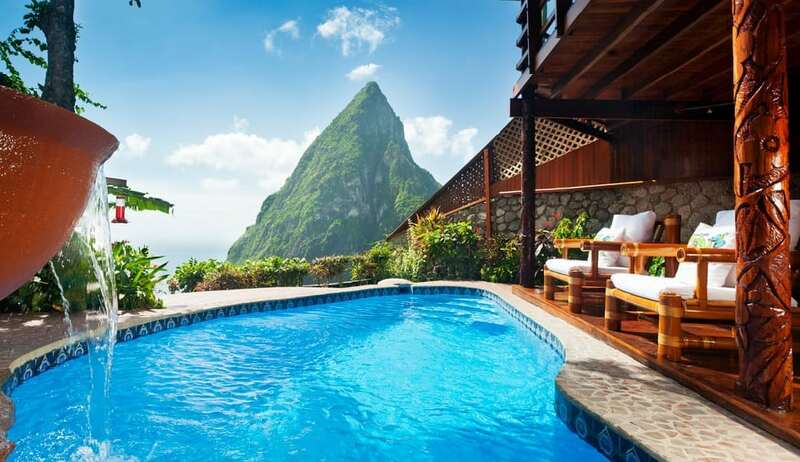 The resort offers the altitude advantage of 1,000 feet above sea level, a location that offers a magnificent view of the pitons. There are 37 rooms and suites. You get the open Gros Piton Suite that offers spectacular views and the architectural Paradise Ridge Suite designed for a romantic getaway. All rooms are equipped to provide ultimate relaxation in mind and portray the beauty and lifestyle of St. Lucia. The resort runs deals that offer a 30% discount, for instance, if you book 4 nights or more. Well, who can resist that!